Who could forget my lovely Nutritionist Friend, Hannah, who just recently left to continue the last leg of her education down in St. Louis, Missouri! Since I last wrote about her, she's settled into her new digs, made some friends, explored her surroundings, and got herself an internship-Pretty proud BFF over here if you couldn't tell. Unfortunately I don't know when I'm going to be able to get down there to visit due to health issues but that doesn't stop me from being nosy none-the less, which is why I asked to do a short interview on how living life in Missouri was going thus far. TEE: What drew you most to St. Louis aside from your schooling? Hannah: I came here about 4 years ago for a conference that was held in downtown St. Louis. I had so much fun then with my friends exploring the area and trying local restaurants. I was surprised by the 'big-city feel' St. Louis had and all the unique businesses, yet it is not so overcrowded like Manhattan. This is definitely something I remembered when looking into my current graduate program. Even now that I am here, I am still amazed by how much the city has to offer and how many corporations have their headquarters here in St. Louis. And while downtown may not be huge, the St. Louis area is quite large! TEE: What was one of the first sights you saw when you initially got settled in and went exploring? Hannah: One of the (many) perks of my apartment is that it is 5 minutes from Forest Park which has an abundance of things to do, including the St. Louis Zoo!! That was the first thing my boyfriend and I did the day after moving in was spend the day at the zoo. And that day was not enough due to how large the zoo actually is!! We spent 6 hours there and still didn't see everything! I have been to zoos in Chicago and Milwaukee and the St. Louis Zoo is the largest I've been to AND admission is completely free! It was definitely a great way to spend the day and get a feel for what this city has to offer!! They were also opening new exhibits this summer that I have yet to see so I plan to go back soon. TEE: Have you considered other towns or places to explore in Missouri yet? Hannah: Oh yes!!! Missouri (like St. Louis) has so much to offer!! I would love to go to Kansas City for I have heard they have a pretty hip night scene. I also would love to go to Branson to see some of the live shows they are famous for. And not far from St. Louis is St. Charles which is a very cute, historic town. I had to travel there for a community assignment for school and I drove down Main Street, which is a quaint, cobblestone road full of boutiques and restaurants. I plan to go back and spend a day there soon. TEE: What has been one of your favorite things about where you're living? 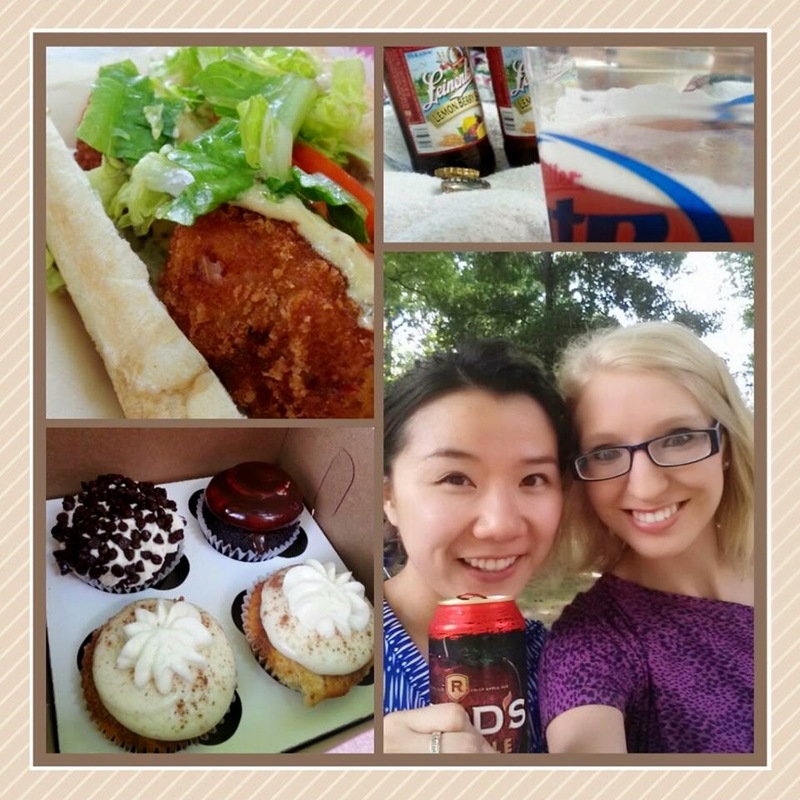 Hannah: As a graduate student, I LOVE how affordable it is to go out and have a good time!! There are so many FREE things to do here it is mind blowing, and if it's not free it's dirt cheap! This is also something quite new for me. Everything is Forest Park is free such as the art museum, history museum, science center, zoo, and their professional Muny Theater which offers 1,500 free seats for every show! I have also found a Pilates in the Park class that is a pay what you can. The art museum also offers a free movie in the park every Friday night where you can bring your own food and drinks (also unheard of to me). There are free yoga and pilates classes throughout the city. A big event here is also Food Truck Fridays where about 20 of the delicious, local food trucks come to Tower Grove Park and a band plays while you chow down on awesome food. You can also bring your own drinks and just hang out all night! The Anheuser-Busch Brewery also offers free tours and taste samples (I'm in my twenties, can't you tell? ^_^) You can also find tickets to Cardinal's games for cheap, or at least go downtown to visit the Ballpark Village where there's a huge, outdoor screen showing away games (also free). Just to name a few! TEE: What is one thing or place that's a MUST do or see for people coming to visit for the first time? Hannah: A friend told me earlier this week that we should call St. Louis one of the most underrated cities in the US, and I would second that! I had NO idea how great of a city it was when I applied for grad school and now I wished I would've looked into St. Louis sooner due to all that the city has to offer. I would definitely say Forest Park is a must-see! 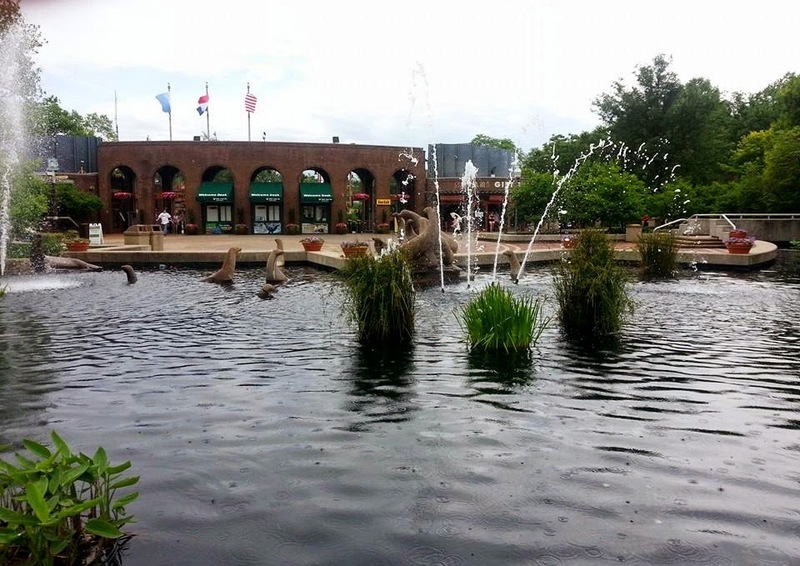 It has something for everyone; the zoo, the museums, bike and running paths, paddle boats, and beautiful scenery. I would also recommend checking out downtown just for the usual touristy things, Busch Stadium, the Gateway Arch, and the Edward Jones Dome. Hopefully you have enough time to experience all the things to do here! Speaking of being a broke college student, it might not be in the great state of Missouri but Hannah is searching for donations to help her get to this year's Food & Nutrition Conference & Expo (FNCE) in Atlanta, Georgia October 18th through the 22nd! If you feel so inclined, you can support the efforts and passion of an up-and-coming nutritionist and donate straight to her Give Forward campaign, Get Hannah to FNCE 2014! Where in Missouri would you go if given the chance? Any place, but I have never been there and I love travelling! I have been to St. Louis and absolutely loved it! I live in St Charles (that she mentioned) and I love this area. St Louis is such a great place and there is so much to do! I'm glad your friend is enjoying my hometown. I would love to go one day if I had the chance. This seems like such a nice place to visit. I've never had anywhere specific in mind to visit - but this looks like SO much fun!! I've always wanted to take a water boat cruise on the river, but I'm also a sucker for tourist attractions like Branson! I am all about nature and botantical gardens! I also would love a cute cupcake!!! What a great inside look, I'd love to visit one day! It's great that it's affordable for her too, that makes it much easier. I'd definitely visit St. Lewis! I have a friend who lives there; so we would party all the time! My husband used to live in the St. Louis area and never had anything but good things to say! I love Missouri. It's so beautiful there. I've never been to St. Louis, but it looks like a great place. I haven't visited St. Louis in a while, but I do love all the free and inexpensive things you can do. Even though I'm well past my 20s, I still have a tight budget. St. Louis looks beautiful. I love the architecture. I hope I get the chance to go there one day. I've never been, so I would love to visit anywhere! I love that things are so inexpensive and free. I sued to live in DC where lots of cool stuff is free- but next to that, NOTHING is inexpensive! I didn't realize how many free things there are to do in St. Louis. It sounds like a great place for a graduate student to live. Families too! I've never been to Missouri! After reading about everything to do, sounds like a beautiful and fun place to visit! My daughter went to college in St. Louis. It is her favorite city in the USA, and she always talks about how she can't wait to move back there. I am in northern IL, not THAT far from St. Louis, yet I've never been! I should visit someday and appreciate these tips! What beautiful pictures of St Louis. I love food trucks and love finding them while we are traveling. Great interview! I think I'd go to Kansas City. Sounds like lots to do. I'd love to visit the Gateway Arch. Missouri is so beautiful. We have been to Branson and I love it there. I have always wanted to check out St. Louis. Good luck to your friend too. I have never been to Missouri before. Sounds like a nice place to visit with many things to do. We used to go there growing up! I would love to take my kids! I would LOVE to live in a college town! Always so much to do! I loved reading about your best friend's experience down there. St. Louis is one of those cities that really is a cross between a city and a town. I'll be going there later this summer and reading this post made me realize there's so much to do. I've never traveled to Missouri before. I would love to visit sometime!